Currently, I am using CiviCRM 4.7 version and integrated with Drupal 7. 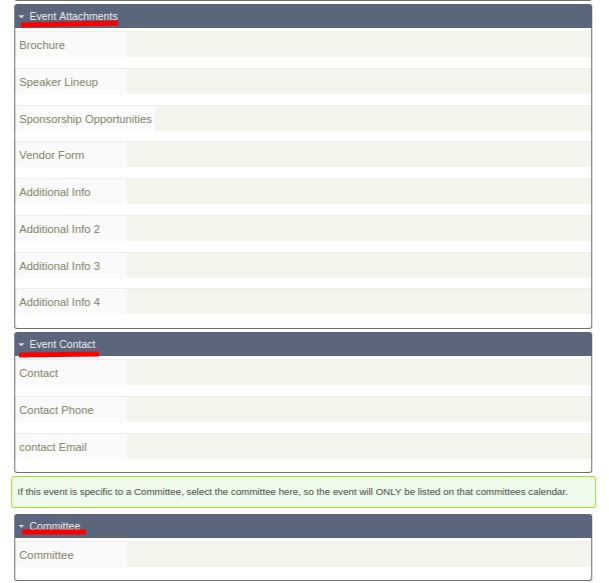 In the Event registration page sections like Event attachment, event committee, Event Contact showing as default. Please refer to the screenshot. 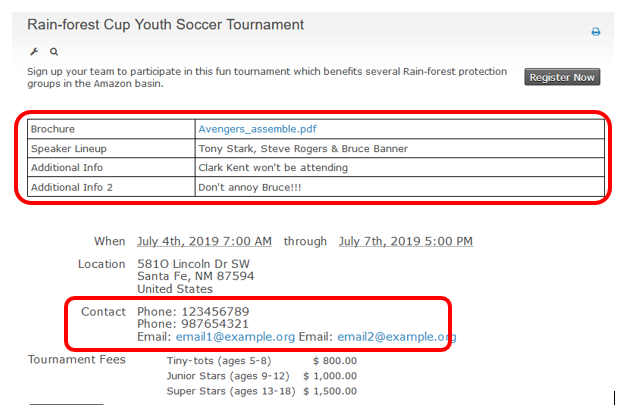 Question is, Can we hide those sections on the Event registration page for each event. If they don't have any information . if they don't have any information. If it is possible in a new version of CiviCRM 5.8, Please guide me how to achieve this. Are those fields visible on the event information page? If so you could uncheck the public setting at the custom field. You could do this by going to Administer --> Customize Data and Screens --> Custom Fields and then go to the Custom Fields of the custom group Attachments and for each field uncheck the public setting. How about using the ‘Complete Description’ field in the ‘Info and Settings’ section when configuring the event?